Sexual-related abuses involving members of the clergy are nothing new; much has been reported about this for decades now, so much that the issue has reached the Vatican. Pope Francis is currently reprimanding priests involved in such abuses but this doesn’t mean that the practice has already stopped. Recently, a priest in the Philippines tried to take a 13-year old girl to a motel but was quickly apprehended by the police. The news report identified the suspect as Msgr. Arnel Fuentes Lagarejos is a 55-year old priest serving parishes in Marikina City and Rizal in the Philippines. 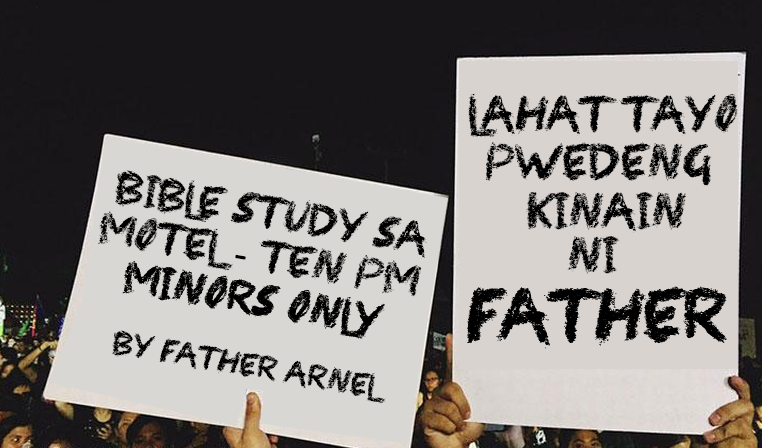 He was also a former president of a Catholic school and an advocate of the country's Reproductive Health Law. You wouldn’t imagine someone like him taking a minor to a motel, but this actually happened; the priest collaborated with a pimp (who is also under-aged) to meet with him and the girl in question. They arranged to meet in a mall within Marikina City, but the mother of the girl reported the plan to the authorities. An entrapment operation was planned. Riding a Ford Explorer, the priest was about to check-in at the motel when the police swooped in and apprehended him. The priest even attempted to draw a gun, but the police was quick to close him in, thus preventing him in using his weapon. The members of the Eastern Police District were actually targeting the pimp and his crew, but they were actually surprised to discover that the priest was involved. He is now facing charges of child abuse and human trafficking. Meanwhile, the 13-year old girl and the pimp were put under welfare custody. The mother of the girl refused to give a formal statement regarding the incident. This recent news drew harsh criticisms agains tthe Catholic church which has been involved in many similar cases in the past. Filipinos took to social media to air their disgust to the seemingly what is seemingly 'new normal' in the Philippines' catholic church. 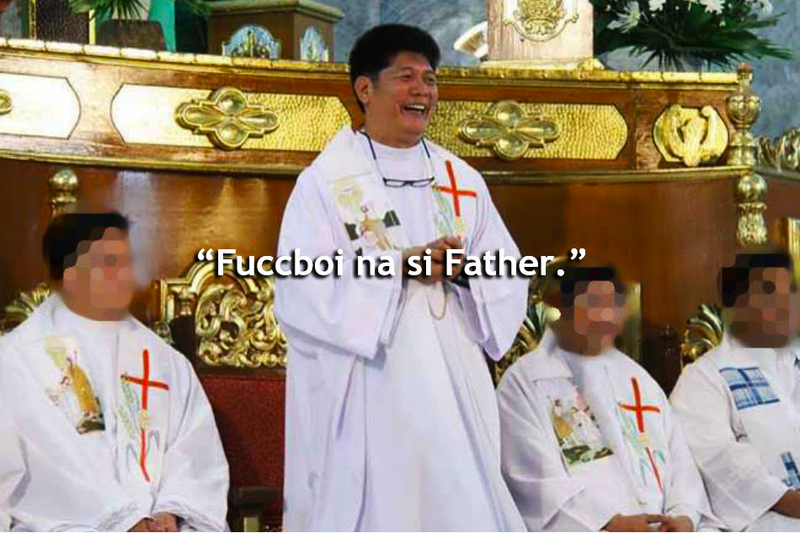 Savvy Filipinos netizens gave the priest the 'Father Fuccboi' moniker, a reference used by millenials to describe guys who have penchant for sexual pleasure. 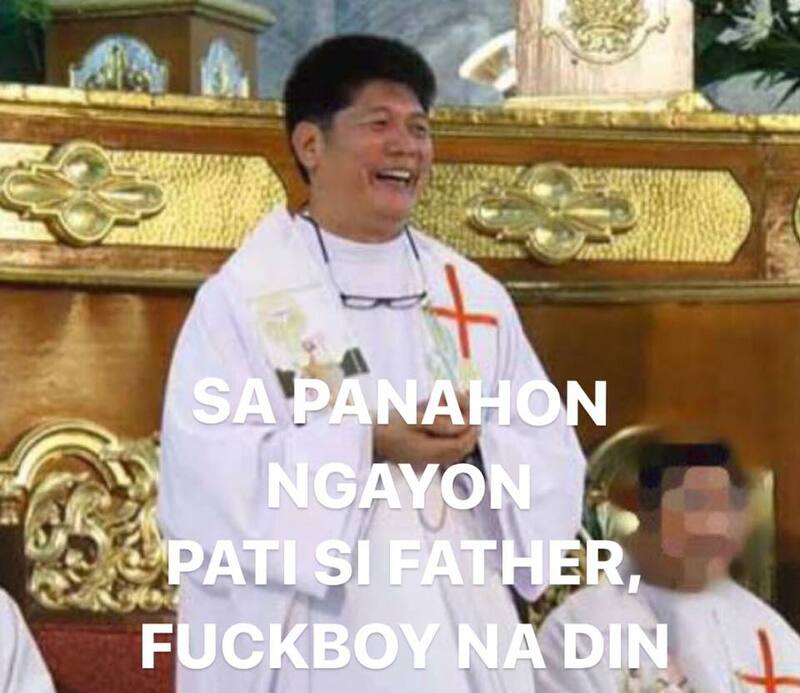 Memes like these flooded the Philippine social media immediately after this news broke out. Allegations of sexual abuse against Catholic priests in the Philippines are increasing, according to a report from Aljazeera. The report features a documentary from 101 East, which revealed that prosecution against such cases are extremely rare in the country, which happens to be the largest Catholic nation in Asia. Alleged victims were said to be pressured NOT to file charges and were offered or paid money in exchange for their silence.